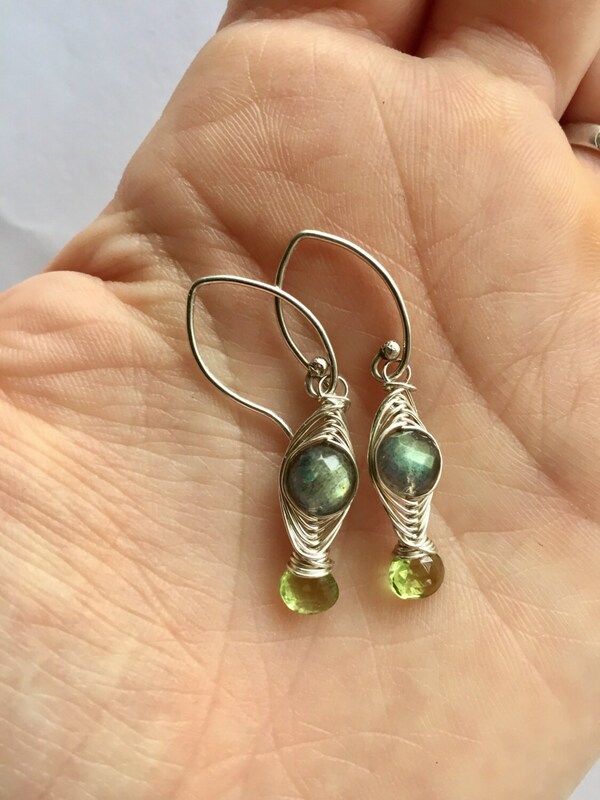 Flashy green or blue labradorite and clear, bright peridot are wrapped in an intricate silver herringbone weave. 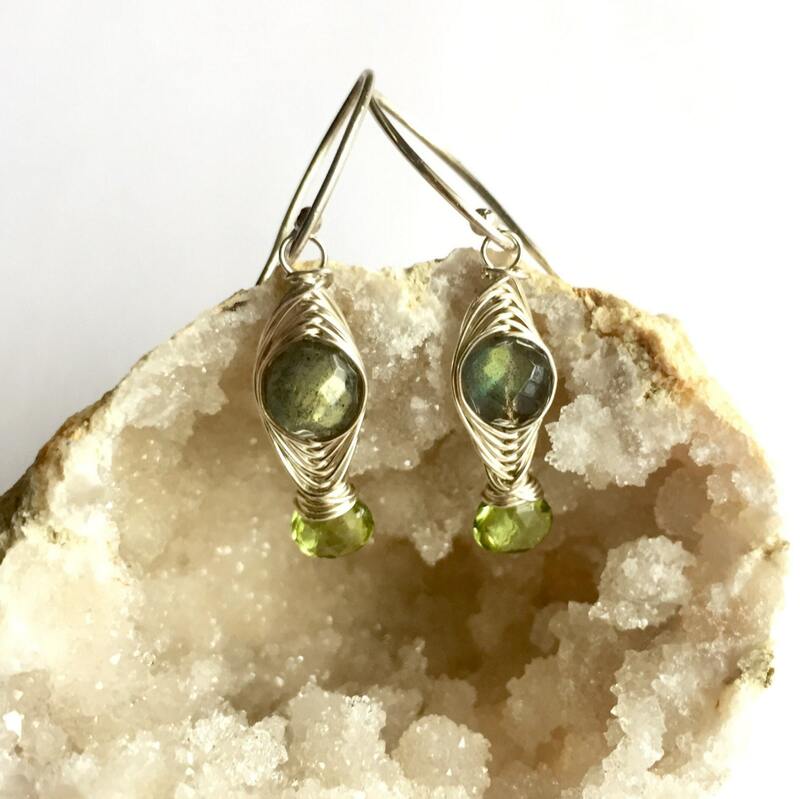 The labradorite's flashy fire catches the light and is heightened by the green of the clear, high-quality peridot. The ear hooks are carefully crafted, with a hand forged ball-end and an elegant lotus-shaped curve. 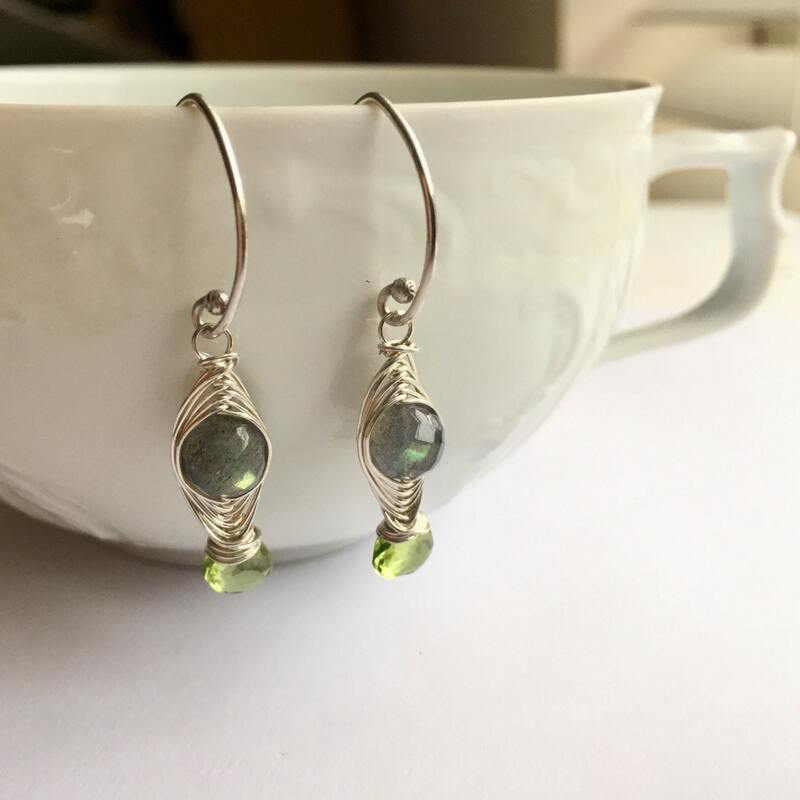 With a lot of interest packed into a relatively small profile, these earrings will surely become a staple in your collection, especially for all the complements they bring. • These earrings measure just over 1.5" long, or 4 cm. 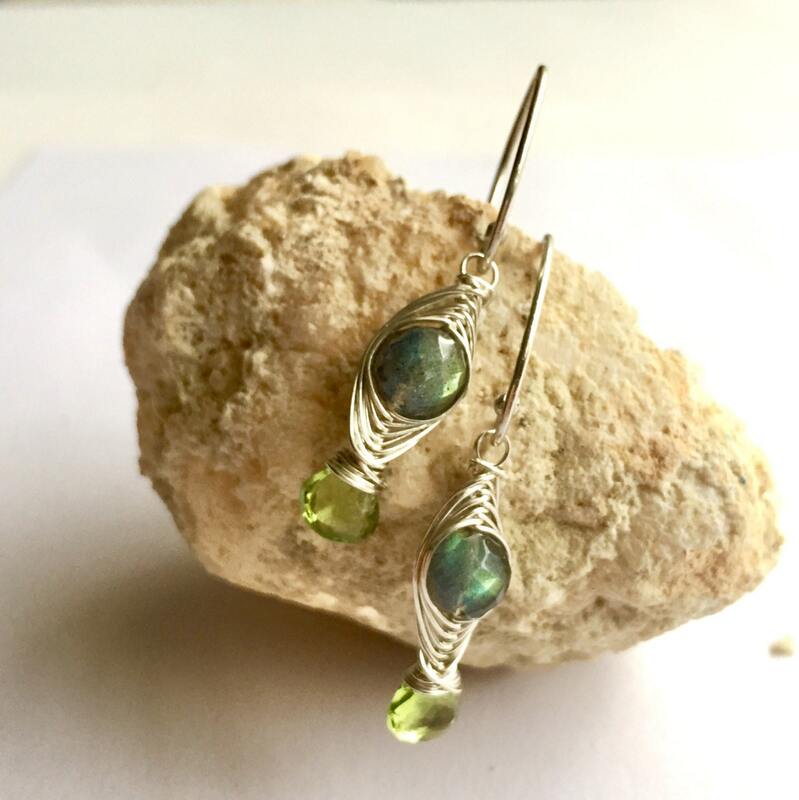 • These earrings are made to order, so please expect minute variations due to the nature of handcrafting and the individuality of the stones. The Herringbone Collection celebrates a wide variety of gemstone pairings in a unique, intricate, eye-catching style. Tight wire wrapping connects the two stones into one compact piece with an elegant woven pattern. So beautiful and delicate! Even more beautiful in person! Fast delivery.